So, I present here… some pictures! There’s a few interesting things I’ll point out here. Only one stick of RAM is immediately visible, and it’s listed as 4 GB. �Since the laptop has 8 GB of RAM, there’s gotta be another stick somewhere. �I’m guessing it’s hiding on the other side of the motherboard. A battery replacement doesn’t look like it would be terrible. 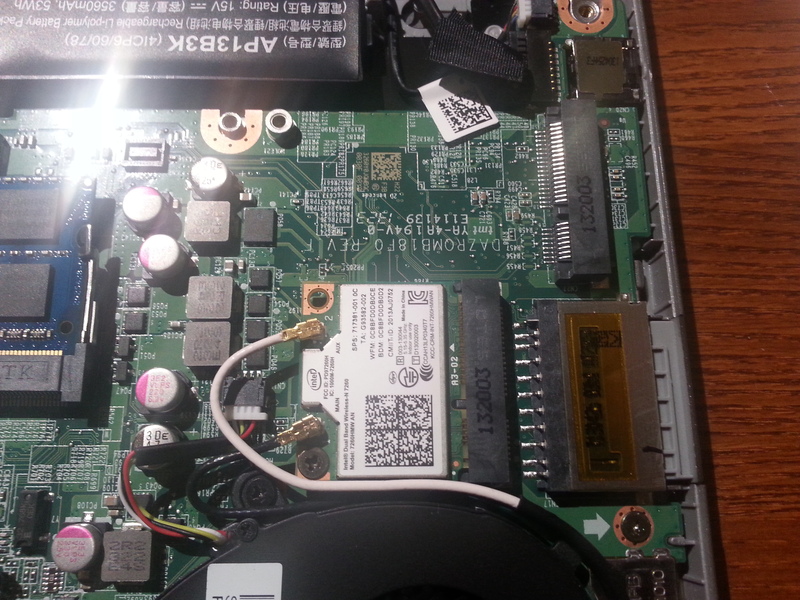 �I didn’t try to pry the battery out, but it does just seem to be one cable between the battery and motherboard. �Hopefully if it came down to needing a battery replacement, I’d be able to do it pretty easily. 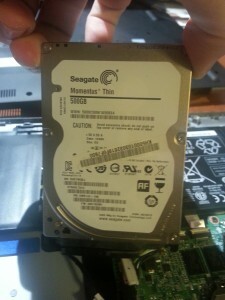 The HDD is a Seagate Momentus “thin”. �The “thin” is because this thing is only 7 mm thick. �Most 2.5″ HDDs are 9.5 mm thick. �I’m guessing that I wouldn’t simply be able to replace the HDD with any old laptop HDD, and I would need to specifically get a “thin” drive if I wanted to go that route. �I’m not sure if anyone else makes thin HDDs of this nature. The HDD is only really held in by friction. 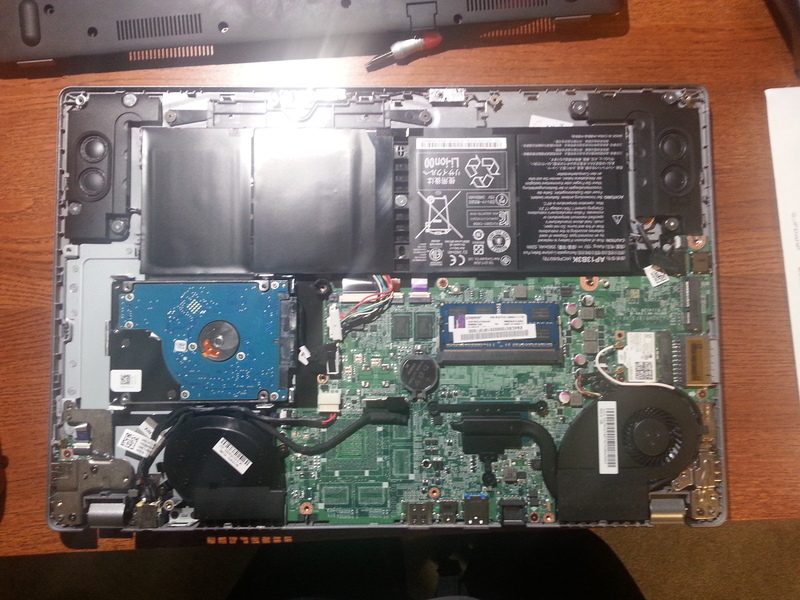 �That’s right, there were no screws in the HDD once I took the cover off — it just pops right out. 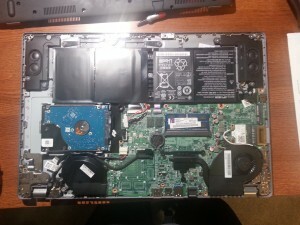 �I did not check to see if any of the screws on the back aligned with the HDD, so it’s possible the HDD is attached to the bottom. [ACER SUPPORT]: Hi, my name is [ACER SUPPORT]. How may I help you? [READER]: Okay. So I am using an Acer M5-583P-6428. [READER]: and I registered the product minutes ago with Acer. [ACER SUPPORT]: I am glad to help you, [READER]. [READER]: I would like to know two things. [READER]: 1) Can I safely open the case and replace the existing 500gb Hard Drive (VERY slow) with a 128gb Solid-state drive that I currently own, without voiding the warranty? [ACER SUPPORT]: Sure, you could. [READER]: You are absolutely sure that I wouldn’t void my warranty by doing this? [READER]: As a curiosity, do you know what WOULD void my warranty, in this regard? 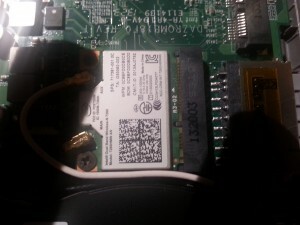 [ACER SUPPORT]: [READER], , the physical damage, crackled screen, liquid split void the warranty. [ACER SUPPORT]: You can upgrade the hdd, RAM but not the processor. [READER]: Okay! That sounds good to me. [READER]: If I upgrade to the solid-state drive, I will no longer have my copy of Windows 8 on the machine. [READER]: How would I go about replacing the OS with a legal version on the new hard drive? [ACER SUPPORT]: You have the option to create recovery back up. [ACER SUPPORT]: [READER], We do not recommend downgrading the operating system as it may cause hardware conflict. [READER]: I want to keep my copy of Windows 8, but I would need to transfer the license. 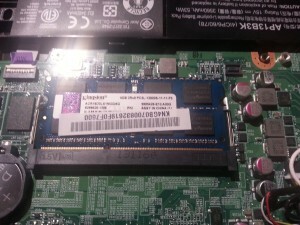 [READER]: And then use that to reinstall the OS legally to the new SSD? [ACER SUPPORT]: Please find the information on below link to create recovery back up. [ACER SUPPORT]: You are welcome. [READER]: You’re telling me that of the RAM, CPU, HDD, and Battery, the only part I cannot easily replace is the CPU? [READER]: Or, say, that I could replace the battery without voiding the warranty, if I had to? [ACER SUPPORT]: [READER], if you have any issues with battery, hdd issues we can help you with the replacement. [READER]: Okay. I will keep that in mind. [READER]: Thank you very much, you’ve been extremely helpful. Good day! [ACER SUPPORT]: You are most welcome, [READER]. [ACER SUPPORT]: It was a pleasure assisting you. Thank you for using Acer Live Chat. Find solutions or advice from other Acer owners on the Acer Community! Give it a try today! [ACER SUPPORT]: Take care, have a happy weekend. [ACER SUPPORT]: Thank you, [READER]. I have just convinced myself that the spare slot is, in fact, an mSATA slot. 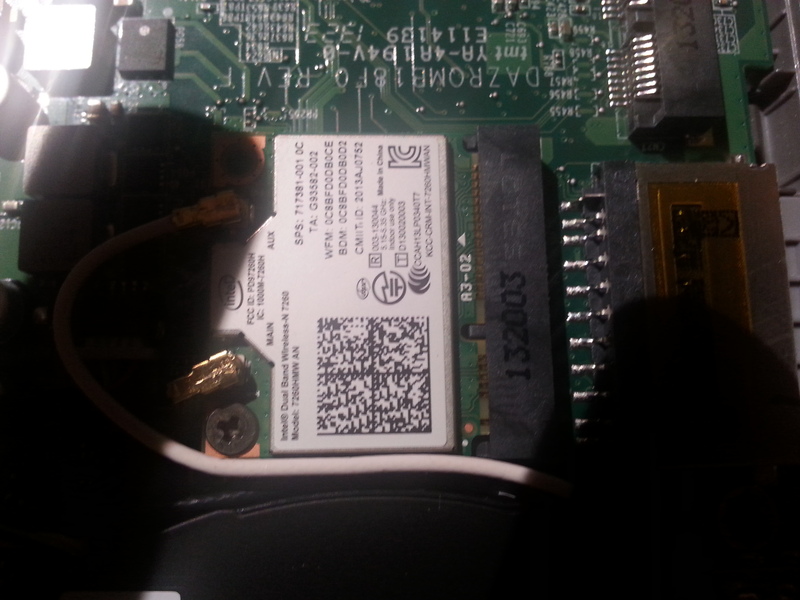 I had a spare mini PCIe WLAN card laying around, so I tried putting it in the empty slot. �I booted up the laptop… and there was no new hardware. 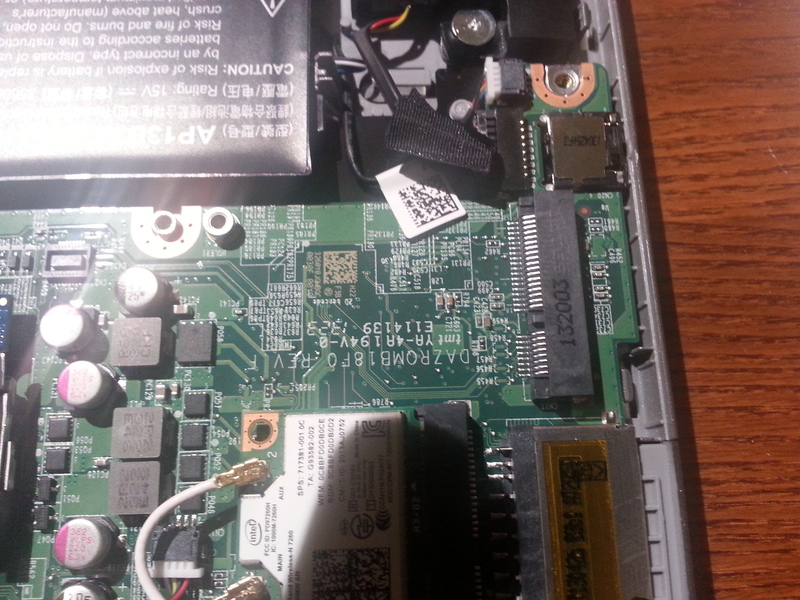 �Since mini PCIe and mSATA are pin-incompatible, I have to now assume that this slot is mSATA. The BIOS recognizes the mSATA immediately. I used the Crucial 240GB. Shrinking the main partition requires turning off hibernation, paging, and system protection (and then re-enabling them after you shrink it or it may cause a huge error!). You have to move some partitions around as well, but the guide is spot on otherwise. I used Partition Master Free to move partitions. To get Windows 8.1 to recognize the mSATA as the boot drive, I removed the old hard disk, and it booted from the mSATA. I then formatted the hard disk on another PC and popped it back in the M5. Worked like a charm!